This is the official site of AV8News Network. Northwest wide~ pooling resources from Industry, Aviation, Government, Pilots & air-service providers. A (very small) small disclaimer: We try to provide stories and links to items of local & NW interests. We assume no rights or responsibilities for content presented outside (3rd party) Weblinks. This site is NOT affiliated with any one particular organization or special interest group. 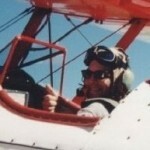 NOT an official page of Northwest Pilots, Washington Pilots Assoc, AOPA… although we are members.